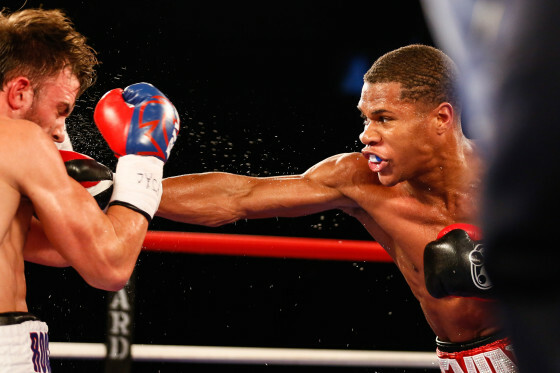 On Friday night, 19-year old lightweight prospect Devin “The Dream” Haney continued his march towards a championship as he impressively out-boxed former title challenger Juan Carlos Burgos inside of the Pechanga Casino Resort in Temecula, Calif. Haney (20-0, 13 KO’s) was too talented, sharp, and athletic for the rugged Mexican, as he dominated on another installment of ShoBox: The New Generation. Two judges scored the fight 100-90 for Haney while a third had it 97-93 in the undefeated prospect’s favor. Burgos (33-3-2, 21 KO’s) is known best for being a capable and durable fighter, yet he had no answer for Haney on this evening. 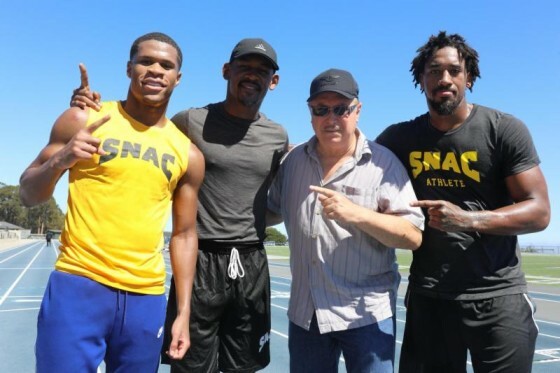 At the moment, Victor Conte’s SNAC training facility in San Carlos, Calif., is playing host to three top training camps as former champions Demetrius Andrade and Daniel Jacobs have been joined by 19-year old upstart Devin “The Dream” Haney as each fighter pushes towards their next ring assignment. Haney (19-0, 13 KO’s) returns to the ring on Sep. 28, where he will face off with former title-challenger Juan Carlos Burgos (33-2-2, 21 KO’s) at the Pechanga Resort & Casino in Temecula, Calif. on SHOWTIME. On Oct. 20, Andrade (25-0, 16 KO’s) will face off with WBO middleweight champion Billy Joe Saunders (26-0, 12 KO’s) from the TD Garden in Boston, Mass., in a fight that will be aired on Sky Sports and the DAZN streaming app. And Jacobs (34-2, 29 KO’s), known as “The Miracle Man”, will meet unbeaten Sergey Derevyanchenko (12-0, 10 KO’s) on Oct. 27, with the vacant IBF middleweight title on the line from the Theater inside of Madison Square Garden on HBO’s airwaves. 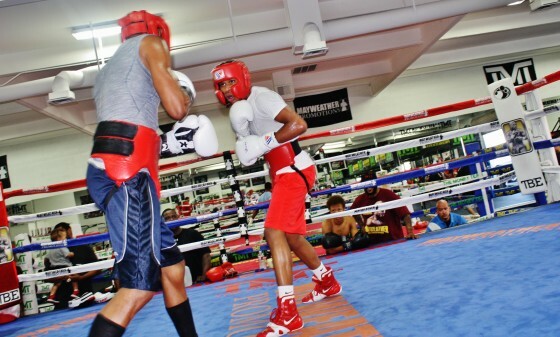 This past Thursday afternoon, inside of City Boxing Club in Las Vegas, Nev., undefeated lightweight prospect Devin “The Dream” Haney hosted an open media workout in advance of his Sep. 28 bout vs. former title challenger Juan Carlos Burgos. The Haney vs. Burgos matchup is set to air on SHOWTIME’s ShoBox: The New Generation series from the Pechanga Resort Casino in Temecula, Calif.
At 19 years old, Haney (19-0, 13 KO’s) continues to impress and he believes the Burgos fight is the perfect opportunity for him at the moment. 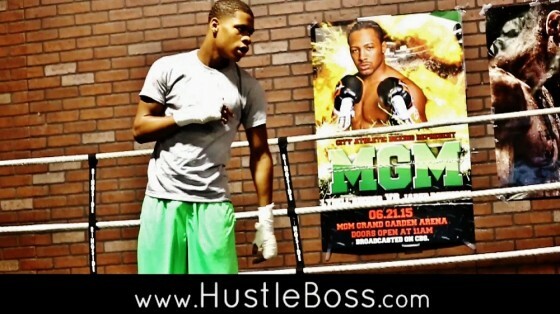 Amidst the craze of the Canelo Alvarez vs. Gennady Golovkin showdown this past week in Las Vegas, we were able to again catch up with undefeated lightweight prospect Devin “The Dream” Haney, as he continues to advance in his young career. This was some very good work to take in, as we had been advised that the Montgomery brothers from Macon, Ga., were in town and that it was going to be 22-year old Maliek Montgomery who was going to be working with Devin. 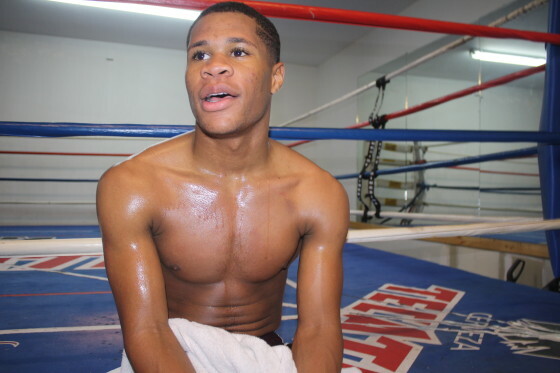 Haney, still just 18 years of age at 16-0 with 11 knockouts, and Montgomery, a 1-0 junior lightweight prospect, engaged in seven rounds of heated action that soon won’t be forgotten from our end. Haney is a sharp boxer-puncher with all kinds of ability, while Montgomery presented a different kind of foe, as his onrushing style led to several heated exchanges. 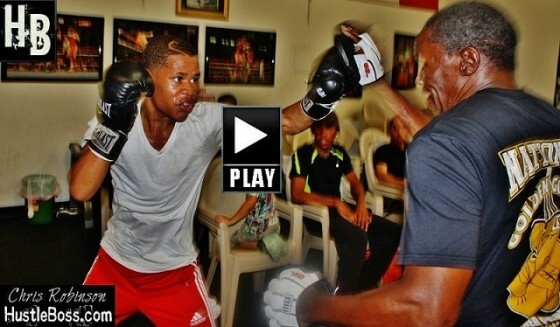 As 2016 comes to a close, it’s hard to think of a more promising prospect than 18-year old Devin “The Dream” Haney. 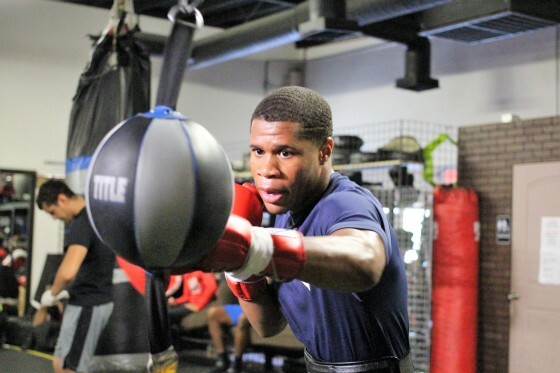 Possessing an 11-0 record with seven knockouts in the lightweight division, Haney has been making a name for himself dating back to his early days as an amateur, when it was easy to spot his potential. 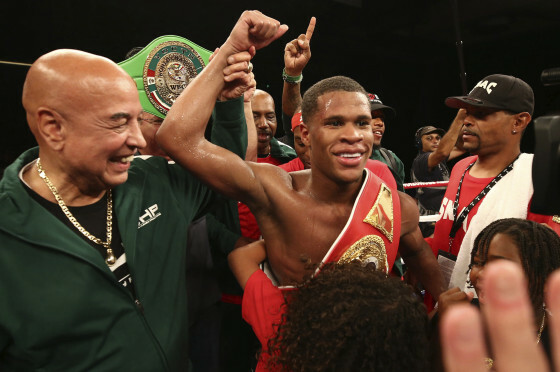 On Friday night, in Tijuana, Mexico, former amateur standout Devin “The Dream” Haney made a successful professional debut in Tijuana, Mexico. 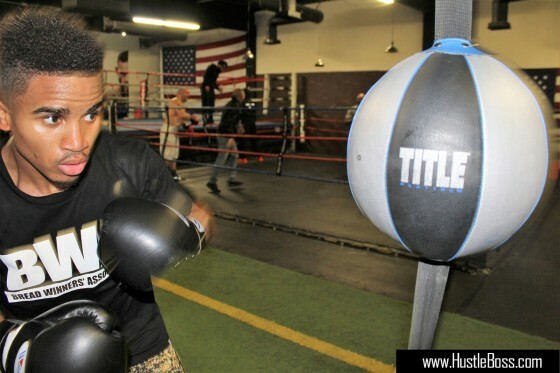 Haney has been creating a huge buzz in the Las Vegas area as one of the top amateurs to look out for and his sparring sessions are always eye-catching and worth watching. Having just turned 17, Haney and his team have been eyeing a professional debut for the past year and it was great to see it come off. It’s been pretty special to watch the career progression of young Devin Haney. Still just 16 years old, Haney is looking to make the transition from amateur standout to budding professional but with nothing concrete lined up, he simply continues to sharpen his skills day after day. During any big fight, there are always all kinds of subplots and such was the case with Shawn Porter’s big victory over Adrien Broner this past weekend inside of the MGM Grand in Las Vegas. 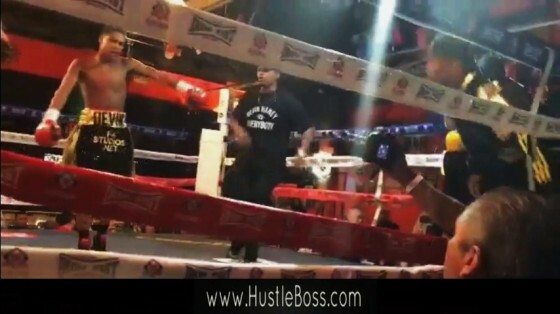 Following the match, Floyd Mayweather, a man Broner looks to as a mentor, suggested the fighter should have probably rested following his weigh in for Porter, as he instead was inside of the famed Mayweather Boxing Club checking out some sparring on the eve of his 32nd professional boxing match.